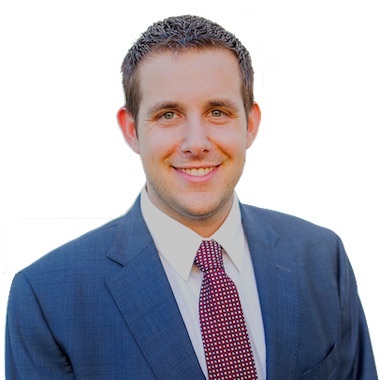 Evan Fish – Szabo Law Group, P.A. Evan is an experienced Real Estate Attorney offering Settlement/Escrow Agent Services and Buyer/Seller representation throughout Florida. He is also an experienced foreclosure defense litigator having conducted hundreds of bench trials during his career. Mr. Fish has been practicing in South Florida for over 5 years and proudly assists individuals and families with all of their Real Estate, Landlord/Tenant and Civil Litigation needs. Currently, in addition to his legal practice, Mr. Fish operates an integrated title and escrow company to service the real estate requirements of his South Florida clientele. Mr. Fish holds an active Broker Associates License and is a REALTOR® affiliated with The K Co. Realty, LLC., broker. Additionally, Mr. Fish is a Notary Public, a member of the Attorney’s Title Funds Services, LLC (“The Fund”), is affiliated with Old Republic National Title Insurance (“ORNTIC”) Company and with the American Land Title Association (“ALTA”). At the beginning of his legal career Mr. Fish practiced as a trial attorney handling foreclosures on behalf of large national banks and servicing institutions such as Bank of America, Ocwen Servicing, LLC, Federal National Mortgage Association (“Fannie Mae”), Seterus, Inc., Ditech LLC, Nationstar Mortgage (aka Mr. Cooper) and many others on a statewide scale.